Decent belays in classic snow gullies can be hard to find. Sometimes on a big open snow slope there will be no other possible options beyond burying your axes, and that won’t work very well unless the snow is hard. A properly-placed Deadman gives you an element of security in some of the most insecure places and can provide unsurpassable protection when belaying on waist deep snow. 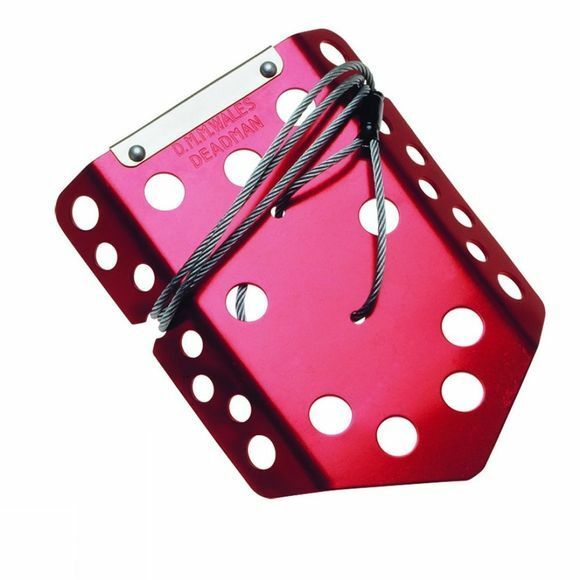 The DMM Deadman has a perfect size-to-weight ratio for excellent handling. Make sure you’ve got one clipped to the back of your harness the next time you head out winter climbing.